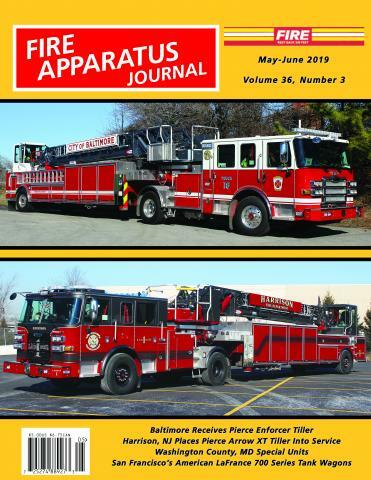 St. Louis by Dennis J. Maag | Fire Apparatus Journal Inc. The St. Louis Update provides apparatus information pertaining to the St. Louis Fire Department, as well as news from the forty-three departments in St. Louis County, Missouri. Deliveries from the adjacent counties of Jefferson, Franklin, and St. Charles in Missouri as well as Madison, St. Clair and Monroe counties in Illinois are also periodically provided. The St. Louis Metropolitan area has an interesting mix of departments that range from fully paid city operations to all volunteer rural departments. There are also three airports in the region, an Air Force Base and a number of industrial facilities, all operating a diverse array of apparatus. The St. Louis Update is written by Dennis J. Maag. He has been a firefighter/EMT since 1983 and is currently a Captain with the Mehlville Fire Protection District of St. Louis County, Missouri. In addition to his role as a firefighter, he also served on the District’s Apparatus Committee for sixteen years and was involved in the design, specification and purchase of ten pieces of apparatus during those years. In addition to apparatus photography, Dennis is also interested in all forms of fire apparatus and related history. He has a particular interest in non-municipal/industrial fire departments and also has a large collection of fire apparatus manufacturer’s nameplates and emblems.